Who put my iPad in the dishwasher? 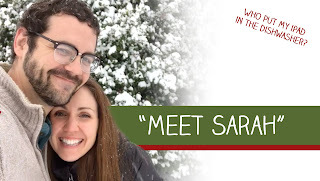 : Meet Sarah! So as most of you know, I'm currently seeing someone. A mini version of our story was featured on a show produced by Ellen and hosted by Ashley Graham. I promised the people from Ellen to keep things with Sarah under wraps until the show aired (even though I've been busting at the seams for months to introduce her). I'm planning a post on that whole experience soon. Also, Sarah and I are writing a joint post about how we met and the story so far. However before all of that, I wanted to give a "brief" introduction for everyone to get to know her. I say "brief" because I can never do ANYTHING briefly. Hahaha. Especially when I'm describing her :D. But I'm going to try my best! Sarah keeps a pretty reserved social media/online presence so I thought this would be a great way for everyone to get to know this mega cute Philly girl. I feel like when I say she is amazing, it kind of falls flat. I’ve heard so many people described by that word, that it’s kind of lost its flair. However, Sarah legit is. In my 34 years on this earth, I don’t think I’ve ever met anyone as selfless as her. She puts others before herself in about every situation presented to her. Whether it be parenting, friendships, work, or just about any other environment, she is always wanting others to feel their value. It’s one of the reasons that I initially found her so attractive. Sarah understands that everyone has worth and works hard to meet others the way God sees them. While she doesn’t enjoy arguing or conflict, she also has the wisdom of holding others to their high level of self-worth and importance. Many people I’ve met try to encourage others or hold people accountable by telling them what to change. Not Sarah. She is so gifted at sensing where people are and giving them love, support, and most importantly a listening ear. When you speak with her, you instantly feel comfort and at ease. There’s never a hidden agenda or someone just waiting for their turn to talk. There’s a quiet yet confident strength in any relationship with her. You know she’s there for you. Not to tell you what you should do, but to walk through life with you as a support and encouragement. I just love that about her. Her spiritual and moral compass is on point. Seriously, it’s legit. I’ve never seen or heard her taking a “holier than thou” mindset, though. She just lives her life to the upmost standards. It’s one of the first things I noticed about her. If there is ever an issue or decision, I can GUARANTEE she has prayed about it. Sarah is never willing to negotiate any personal wants or desires to compromise her integrity. As I’ve grown to now her over the past 6 months, I’ve learned that this not only comes from daily choices to make good decisions, but from a strong understanding of her godly self-worth and value. Seriously for as reserved and meek as she is, she is just as bold and empowered. I’m just glad she found enough promise in me to initially give me a shot. That girl is not one to settle. The fact that she picked me, kinda makes me feel like I’m doing something right. HAHAHA. For her age, she is so incredibly wise. At the beginning of us becoming a “thing”, she explained the concept of guardrails. Just little things we individually struggle with or character flaws that either of us might have. I gave her my list and vice versa. 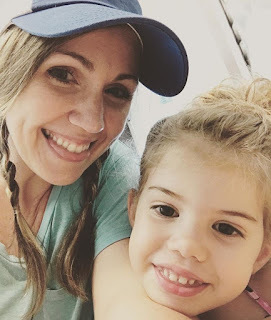 We had long talks about how we deal with stress, make big (and small) decisions, time management, parenting decisions, etc. She was wise enough to understand that the initial puppy love stage will eventually wear off, and while our attraction/affection will of course remain, there will be legit things we will need to deal with in the future as a couple. If we had mega opposing views on things, then this might not be worth continuing. Holy moly is she easy to be with! Nothing is ever forced. She’s so extremely intelligent, has an incredible sense of humor, and we share love languages. It’s just a good blend. We fit together like two pieces of a puzzle. At times, she gets giddy and excited about things, so I just smile and listen. Other times, she might ask me to make her laugh or tell her a story. Hahaha. If you know me, I’m all 'bout telling some stories. I’ll talk all day. Sarah is so sweet to just listen and stay engaged while I jump down about 23 rabbit trails and stretch a 5-minute story about work into a 90-minute epic tale involving my 7th grade trip to SeaWorld. That’s not saying she doesn’t make me laugh. She would just never tell people “I’m funny.” It just comes naturally and spontaneously. I wanted to expand on her humor a bit more. Part of the reason Sarah is mega hilarious to me is her charming ability to be both kind and sarcastic simultaneously. I mean she’ll never belittle anyone. Ever. She’s much too empathetic and loving to do that; however, since she is such a good listener and observer, she can pick up on people’s little idiosyncrasies and loves using them to poke fun. There are things she’s noticed about me that literally no one in my life has ever commented on or seen before. I love lighthearted jabs, and oh boy can she dish them out at the perfect times. :D Another reason I find her hilarious is her utter awkwardness in certain situations. Now like I said earlier, she’s extremely confident so this awkwardness isn’t caused by insecurities. Sarah is just adorably awkward and slightly weird in certain situations. It makes me feel very at home because I’ve always been kind of a weird person myself, so it’s nice to be with someone similar. No lie, we started talking daily in June and started “talking” in July. When we finally met up in September, it was pretty set that this was a thing. I got off the plane and she was waiting to pick me up. I jumped in the car super excited to finally meet face to face. I was about to go in for a hug, when she kinda stared at me while jolting her hand out. That’s the first thing she did when we met…. she awkwardly shook my hand like a Disney character shakes hands with a nervous 3 year old. Hahahaha. I immediately knew she was the one in that moment. I hate to bring this up as to not sound shallow, but geez Louise is she attractive. She will probably kill me for talking about her looks. Hahahaha. She's so modest and humble about those things. Really she doesn't put a ton of stock in her physical appearance and would rather focus on growing as a person and helping others. However, I think she's hecka fine, so Imma talk bout it ;). When she first messaged me way back when, my initial thought was, “Wow. This girl is a mega cutie.” If I could work up my ideal women somehow, Sarah would be it. She has the most gorgeous auburn hair and hazel eyes (which has always been my favorite combo). She has a slightly roman nose with a strong but feminine jawline that gives her face such an attractive profile. She takes excellent care of her skin, so it’s extremely soft and healthy. I’m a sucker for nice skin. Her height and little body is also something I find super attractive. The top of her head is the perfect height for me to rest my chin on. I just like doing that sometimes. Also, when she smiles the top of her nose crinkles and it melts me. Seriously, I think she has the best smile I’ve ever seen. On a rare occasion, she’ll smile with a tiny bit of her tongue playfully poking out of her teeth and it’s seriously adorable. It makes me want to kiss her every time. Her style is also on point to me. While she’s breathtaking dressed up, her favorite "look" is also mine - just some jeans, t-shirt, ball cap, and braids in her hair. *drools* Ugh, she’s just so attractive. And the person she is on the inside is even more attractive, if you can believe it. I mean not trying to brag, but I hit the freaking jackpot. Back to more serious stuff, Sarah is ultra mindful of my relationship with my kids. If I need to spend time with my kids (and vice versa), it’s just understood. No upset feelings or unhealthy boundary issues. Right now, we are single parents dating. We are both aware of this. Not once has she overstepped into my realm of parenting. On the contrary, she has made a solid effort to get to know each of my kids individually and build a relationship of trust with each one. I love that we agree that both sets of our kids have moms and dads. Neither of us wants to mess up those relationships. To be honest, I was always worried my future wife might use my kids to boost the relationship with me. Not in a negative way, I was just afraid that it would be unhealthy for the relationship with their own mom. However, she has done the opposite. There’s been no tension in that regard. We both agree that we are building a relationship which will eventually lead to a blended family if it continues. Although she adores my kids and has excellent advice when I ask, she is not one to try and replace their mom. If anything, we both encourage and booster the kids’ view of the other parent with each other’s children. I really love the fact that I respect and trust her as a parent, but being single parents isn’t what bound us together. It’s the desire to build a relationship and do life together. That gives me confidence that once the kids are grown and gone, we won’t be sitting there trying to make a relationship work that was solely focused around parenting. Sarah has such a unique mind. She’s extremely bright and left brained. She processes, contemplates, and analyzes decisions. That’s a skill set I lack. I’m prone to just jumping into things, so I love the fact that she does her due diligence before making any decision. However, for as analytical as she is, there’s this creative streak in her that is one of my favorite parts about her. I’ve watched her deep-thinking issues, while simultaneously hand lettering a little gift for someone. It’s such an interesting blend that’s fascinating to watch. She’s incredibly gifted at thinking outside of the box and coming up with original solutions to problems. It’s like all of her brain is running at 107%. I’m not afraid to take the lead on decisions since decision making isn’t a problem for me, but Sarah makes it so incredibly easy because she’s done the entirety of the work beforehand in her mind. She is excellent at communicating. When something is coming up that might give her stress or put her in a not-so-great mood, she always makes it a point to tell me. I know her weaknesses and struggles, just as she knows mine. Sarah is not the kind of person that leaves you wondering where you stand with her (which I LOVE). There’s never a huge guessing game as to where she’s at mentally or emotionally. She explained how she prefers to be talked to or cheered up, when she’s not happy, mad, upset, or frustrated. That’s made it extremely easy for me to be there for her when she might need it. I also admire her strong sense of family. In my trips to visit, I’ve gotten to know her family. They are also becoming some of my favorite people. It’s so neat to see where Sarah gets her strengths/personality from. She not only respects and values her family, she thoroughly enjoys being with them. They are a tight unit. There’s so much trust and shared confidence that’s been built into that family over the years. It’s super evident they that would welcome me and the kids. In fact, I can basically thank her parents and her older brother for giving me a shot when I started to pursue her. Hahahaha. After getting to know her family, I felt God confirmed a big answer to prayer I’ve been sending up for years. I wanted a super tight relationship with my future in-laws. I’m so grateful for the people they are and the incredible support, encouragement, and insights they have so kindly given. It’s just the best feeling to genuinely sense acceptance into a new environment, situation, and potential family. That girl works HARD. Seriously, I am so attracted to her work ethic. She gets stuff DONE son. Parenting - check. Working a full-time job - check. Cooking, cleaning, community events, extracurricular activities for the kids, and serving others - check, check, check, check, and check. I used to think I was pretty legit… Hahahaha then I met Sarah. She is a freaking boss. But in everything she does, she’s ALWAYS mindful of others. There’s never a sense of gloating, Sarah just does it because it needs to be done. She always tells me the motto she tells her kids, “We go through problems and not around them.” I LOVE THAT. It not only demonstrates her physical/mental work ethic, but her emotional/spiritual work ethic as well. If something comes up with one of her children, she addresses it then. The moment she detects a potential problem, she’s on it. It doesn’t matter how exhausted she is from work or parenting, that girl rolls up her sleeves and takes care of it then and there. There’s that little tongue. Isn’t she insanely cute?!? Geez… I had a mental list of things I wanted to share about her and why I find her so amazing, but I’m not even halfway through it. I don’t want anyone to get a hand cramp for scrolling through my endless post. Hahahaha (I could talk about her all day, just fyi). So I’m sure I’ll be writing more about her soon. So just to be clear....you like her??? I couldn’t quite tell. �� And of course she’s from Philly...the best part! I’m so happy for you Sethery! That’s great!! She is beautiful inside and out!! You are a blessed and highly favored man of God. Love you! Love everything about this! So happy for all 9 of you!!! Can't wait to meet her. My heart warms to hear your reflection of this lovely lady. Sarah and her wonderful family are as genuine as they come. They will forever be in our hearts and in our prayers. I am so happy about this and thrilled to watch the show! I've been reading your blog for a couple of years and you clearly are an amazing dad who deserves an amazing woman in your life. God is so incredible!